Ski holidays in Keystone are a fairly well kept secret, offering superb skiing and facilities. With three different mountains to choose from at Keystone there is plenty of variety for everyone. Ski holidays in Keystone are also famous for their 12 hour ski day with night skiing. 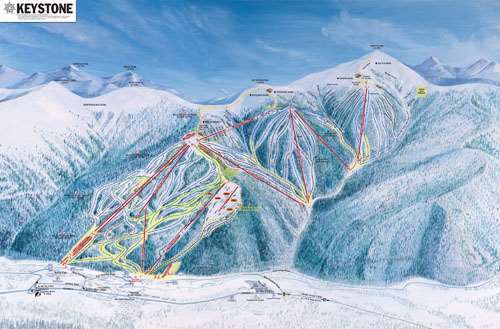 The three mountains are accessible from the Keystone Village Base area, offering 1861 acres of skiable terrain, serviced by an extensive network of highspeed lifts including 2 gondolas. One of the Colorado Lift Ticket resorts, you can also ski Breckenridge, Vail, Beaver Creek and the Arapahoe Basin on the same area lift pass. With a free shuttle service to Breckenridge and the Arapahoe Basin, there is particularly easy to access these two areas. Keystone Mountain is known for its groomed, wide trails, and designated slow skiing areas, perfect for families and beginners on ski holidays in Keystone. North Peak boasts steep mogul covered runs, and smooth cruisers that cater to the more advanced skier. 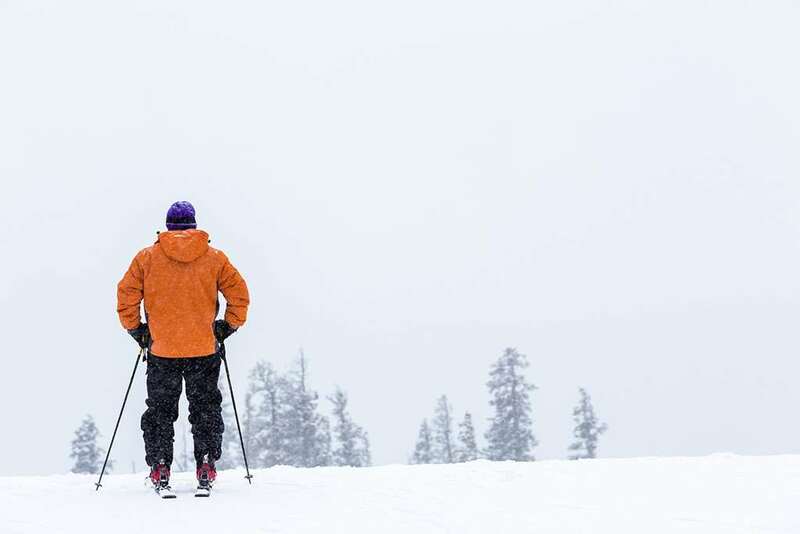 The Outback features gladed tree skiing to offer the adventurous intermediate and advanced skiers powder skiing long after the main runs turn to packed powder. Keystone's Cross Country Centre, at the new River Course golf course, maintains 16k of prepared trails and 57 k of ungroomed trails through the White River National Forest. Cross country and telemark lessons and tours are available for all ability levels.